Had I known what God’s plan was for my life, I would have paid more attention in English class. Never in my wildest dreams did I, a small town girl from a primarily Afrikaans-speaking community in South Africa, envision living in the US, working at a church and going on Outreach trips. Back in early 1993, as the idea of ENLACE was just taking shape, we knew we wanted a logo that reflected our values. I started with ENLACE in September 2002 when we launched ENLACE USA. So I have been around 15 + years in its 25-year history. (I started when I was young!) 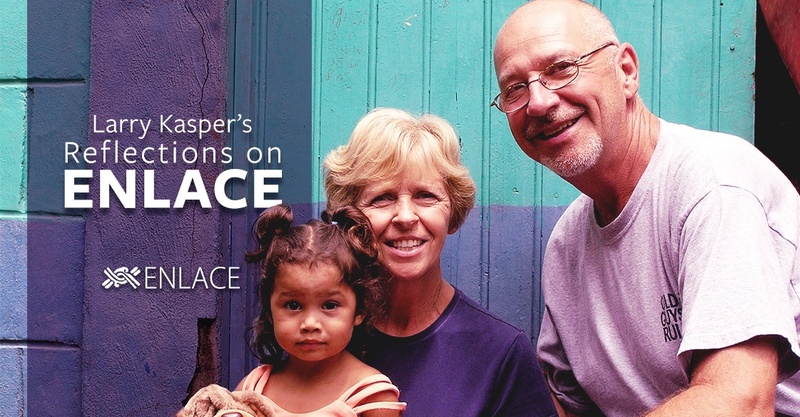 My years with ENLACE have expanded my understanding of the mission of the church. 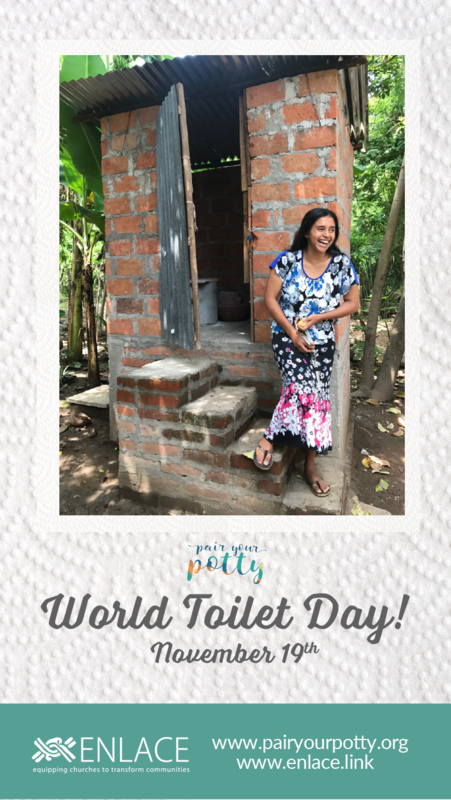 Several years ago I had the privilege of witnessing and participating in a celebration in which a church and its community was inaugurating a clean water project. It was THE FIRST TIME in their history to have clean and accessible water which with spigots installed in each home. They laughed and cried as water poured from a newly drilled well that was the result of years of collaborative effort between the church and community. As I stood there in the midst of the celebration, I was struck by the fact that the church has the opportunity to bring 'living water' to thirsty souls and also physical water to the thirsty body. My take away was that just maybe the two kinds of water are inseparable. Can the church care for the souls of people and ignore the need for compassion and justice? I think not. 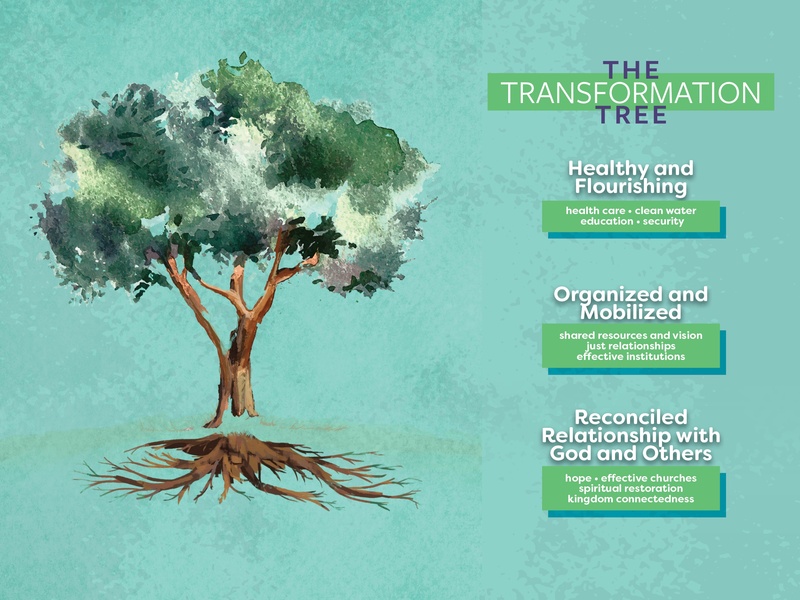 That is why I have committed the past fifteen years of my ministry to work alongside the ENLACE team to equip churches to bring spiritual and physical transformation to their communities. 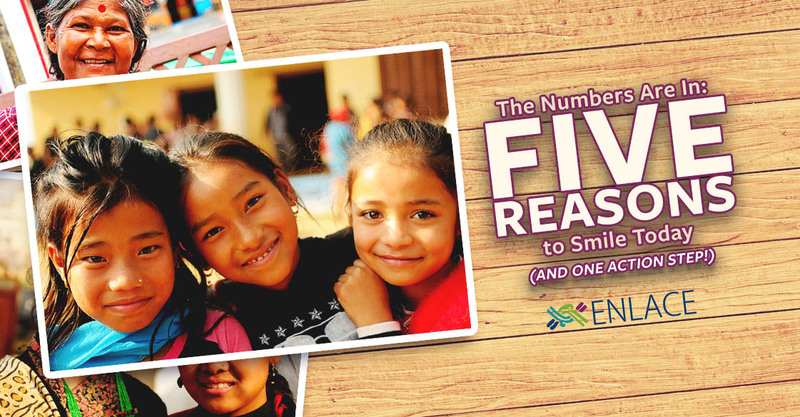 The Numbers Are In: FIVE Reasons to Smile Today! In 2017, your generous contributions helped us to continue to equip churches to transform lives in El Salvador, Nepal and Guatemala. 2018 marks ENLACE’s 25th Anniversary. What is most significant about this milestone for us is that for 25 years we have had the privilege of walking alongside churches as THEY transform THEIR OWN communities. ENLACE has encouraged and equipped, to be sure. Our staff works tirelessly on a daily basis coaching and supporting hundreds of churches’ efforts. But all of us at ENLACE know that the church and community leaders are the ones who, despite facing incredible challenges and daily struggles, live and breathe sacrificial service. As a result, thousands of impoverished people are experiencing better, safer, and healthier lives of economic and spiritual stability. 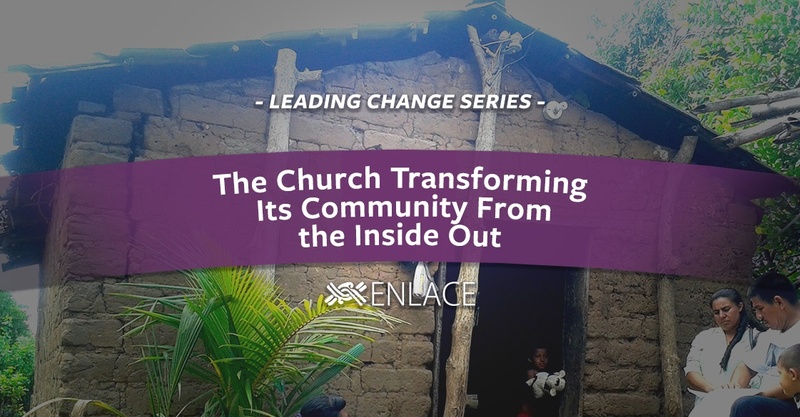 ENLACE has empowered church coaches all over the world to help churches engage with their communities since 1993. 2018 marks **ENLACE's 25th anniversary**, and we thought some of you might like to know about a few independent sources that talk about what ENLACE has been doing over the years. 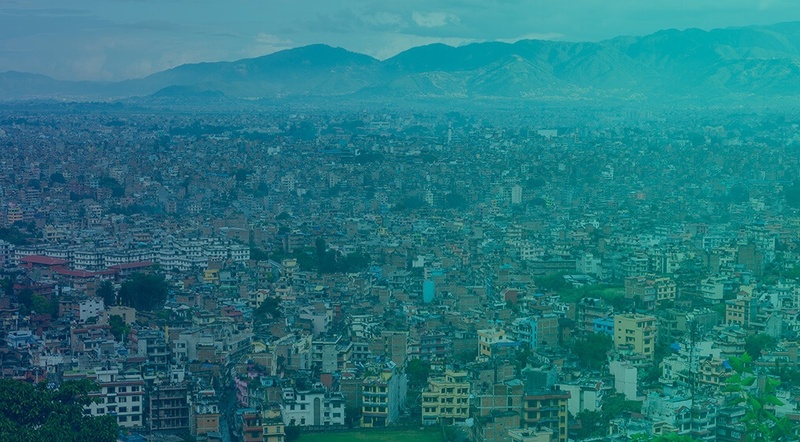 These scholars are highlighting the fact that a growing number of Pentecostal churches are engaging in community development activities and that they are in effect contributing to broader social change. They also suggest that ENLACE has played a vital role in preparing and equipping these churches to work with community associations and government entities to develop effective solutions to poverty. 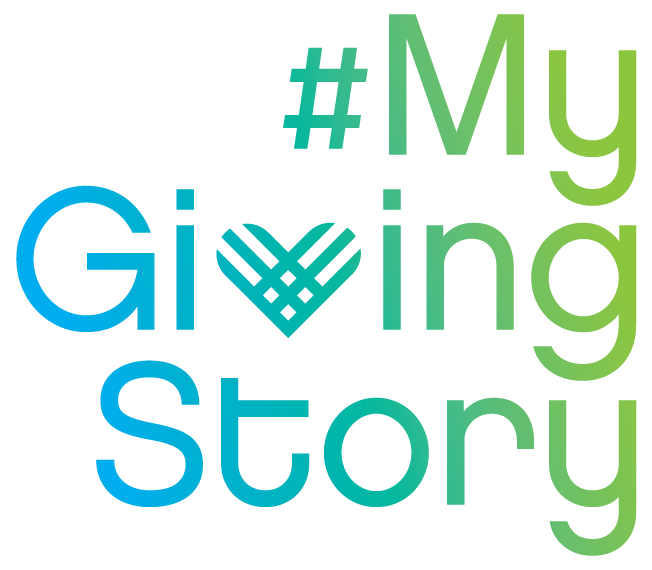 All year long we have learned together about El Salvador, Nepal, community transformation, and impact. Here are the top five most read blogs of 2017. If you missed them the first round, now is your chance to equip yourself and share with a friend. This month in homes around the globe, families are decorating and lighting their Christmas trees. In fact, "trimming the tree" is often its own ritual, one that merits a dedicated time in which family and friends gather to pile on ornaments and lights, popcorn and cranberry bunting, and thinly ribboned "icicles." If you are partial to a real tree, you know how important it is to find one that is fresh and healthy. Dry and sparsely branched trees are not only fire hazards but aren't ideal when wanting to showcase beautiful and plentiful decorations. The best trees, the ones that can hold up throughout the holidays and into the new year, are those sturdy ones that had been deeply rooted and nourished. This is a great metaphor for what we have seen in our work. As ENLACE approaches its 25th anniversary, we've had the privilege of being a part of something amazing. Over and over again, we've seen that once local church members take on their role as servant leaders, the before and after contrast in their communities, is breathtaking. Every year, just before Christmas, ENLACE hosts a Pastors and Leaders Retreat. It is the one time when all of our local church partners and staff get a chance to learn together, pray and encourage one another, and have a lot of fun! Every year it has been something special. There was one year, however, that stands out and continually reminds me of ENLACE's purpose and vision. To serve God means to serve where God has placed me and to see my circumstances as his direction for me. Many times I think I have orchestrated my own steps but in reality God has done so and his purposes are always many-fold. 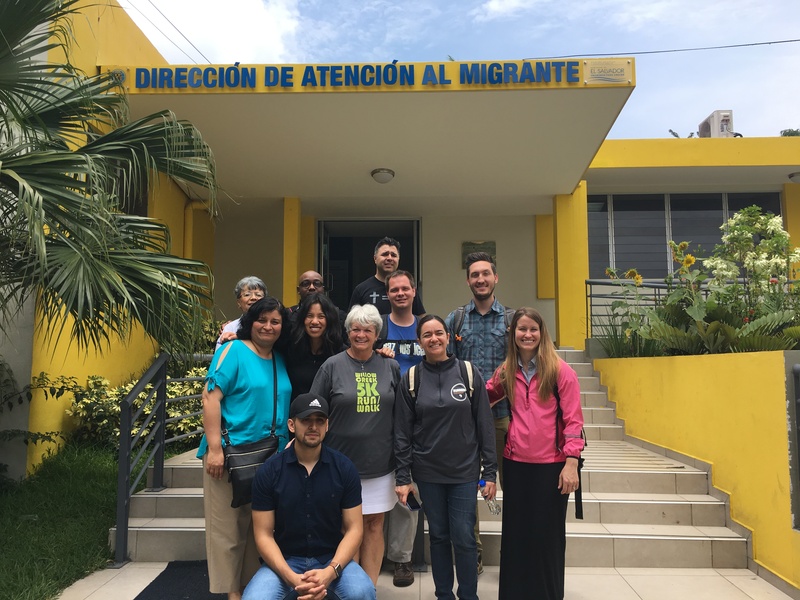 I have had the opportunity to travel to El Salvador over the past several years and have experienced how ENLACE purposes to bring economic and spiritual renewal to communities through the presence and work of the local Church. The foundation of which comes through the cultivation of relationships that are based on the love of our neighbor as ourselves. My name is Pastor Israel Pineda and I’d like to thank you for giving. 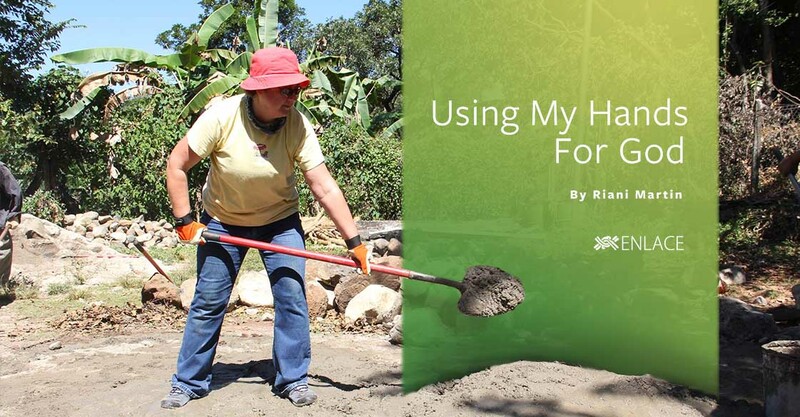 Since my church and community leaders started receiving coaching from ENLACE in 2013, we have seen transformation in our hamlet of El Cocalito through physical improvements like a reduction of intestinal disease when we installed latrines. We have built homes for our neighbors and classrooms for our local school. Perhaps even more importantly, we have seen friendships formed between church members and our neighbors. We have experienced a transformed vision and motivation in our church to focus on serving others. And it’s not only me and my community that have this vision. 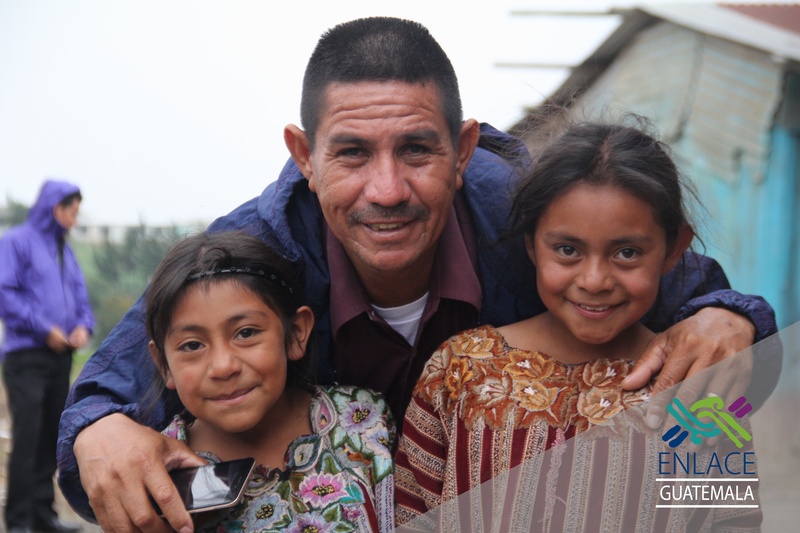 Your support provides coaching for over 100 pastors throughout El Salvador, Guatemala, and Nepal propelling them to impact their communities by restoring relationships with the whole gospel of Christ’s love. “These people seem so happy! 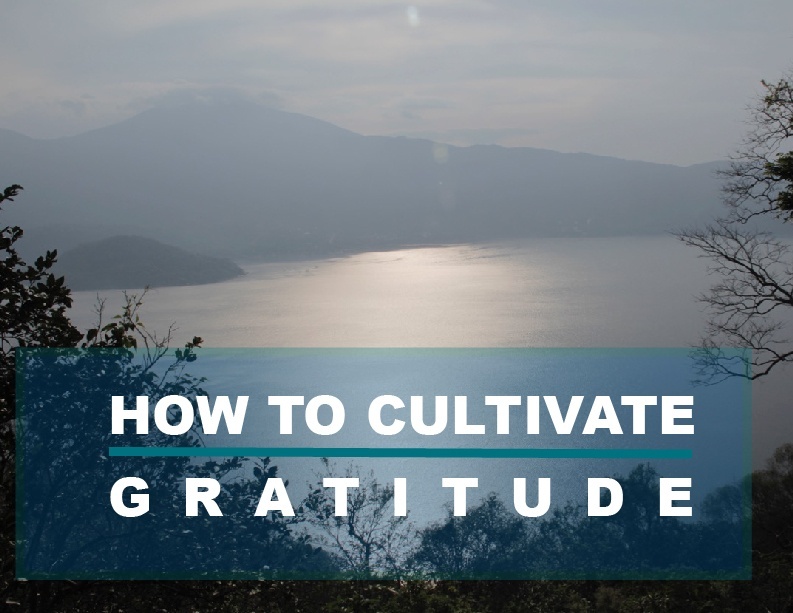 They seem so thankful, even though it seems that they have so little to be thankful for.” This is a sentiment that I have frequently heard during my 15 years of introducing North Americans to people in rural El Salvador. While El Salvador does indeed rank very high on the “happiness index” there is something disconcerting about calling impoverished families “happy” and “thankful.” I think something else might be going on here. Could it be that visiting an impoverished community simply shifts our baseline for how we measure happiness and thankfulness? 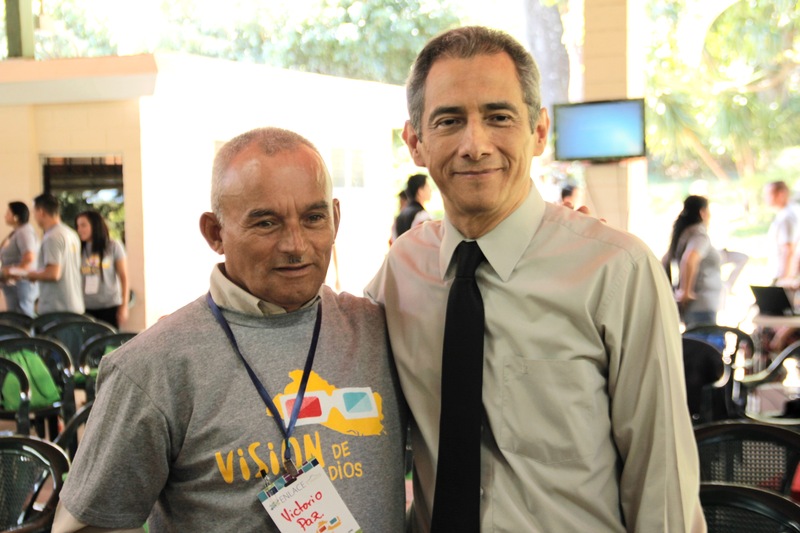 As I was looking through some pictures of ENLACE’s 2016 Pastor and Leader Retreat there was one photo that stopped me in my tracks. It literally gave me chills. Tears began to well up in my eyes, as I contemplated all that was represented. 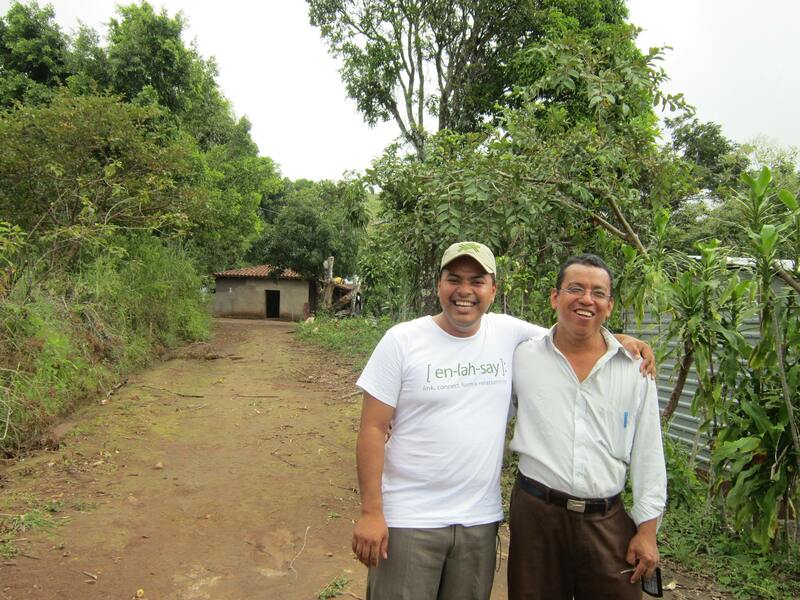 It looks like a normal photo of two Salvadoran men, just standing there next to each other. However, somehow this picture represents nothing less than a transformative hope for the country of El Salvador. 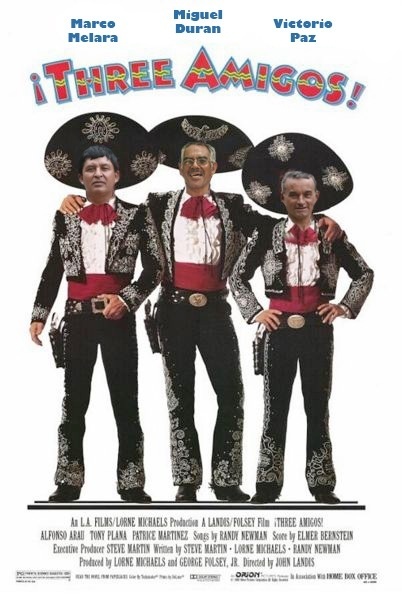 This year marks 15 years since I began working with ENLACE. If there is one thing that I have learned in all of these years it is that community transformation does not happen overnight. But every so often you get a good look at the enormous progress that has happened over the years. This picture represents progress achieved and an incredible hope to come. In a few days' time, people all over the world will commemorate two Catholic feast days, All Saints and All Souls, with exuberant parties, celebrated with special foods and dances, and quiet candlelit vigils, marked by contemplation and prayer. The history of these days is fascinating, but having grown up in a Protestant household and community, these celebrations were not a part of my religious or cultural experience. For me, it wasn’t until November 2001 that I was able to see the power that these remembrance days could have.